A new app, Dock411, will allow truck drivers to share their experiences with different shippers and rate those shippers. The information drivers can share includes directions to the facility, whether pets are allowed, if Wi-Fi is available and any challenges involved in backing into the dock. With only the dock address, drivers can access what the company and other drivers have written about it, including details like dock door location, yard hazards, photos of the facility, the ability to park overnight and up to 35 other items. Drivers can then add details about their own experience. GSC Logistics, Port of Oakland's largest motor carrier, will begin testing battery-powered trucks at the Northern California seaport this fall. The three-year trial with a heavy-duty, all-electric truck is part of a statewide-effort to determine the feasibility of zero-emission freight hauling. GSC Logistics said its trucks will shuttle import containers from Port of Oakland marine terminals to a nearby yard. The rig has a 160-kilometer (100-mile) battery range, and the port will have charging stations installed to plug in the trucks on-site. The California Air Resources Board has scheduled workshops to discuss limiting the operating time of refrigerated trucks and trailers while at certain facilities, including grocery stores, distribution centers and cold storage warehouses. California has recently set new targets for reducing air pollution, including decreasing greenhouse gas (GHG) emissions to 1990 levels by 2020, to 40 percent below 1990 levels by 2030, to 80 percent below 1990 levels by 2050, and cutting petroleum use by cars and trucks by up to half from 2015 levels by 2030. In order to address air pollution around freight corridors and near distribution centers, California is considering an operation limit for Transport Refrigeration Units (TRUs). Arkansas sent nine drivers representing five different carriers to compete at the 2017 National Truck Driving Championships (NTDC) in Orlando, Aug. 9-12. The American Trucking Associations (ATA) sponsors the annual championships, known as the "Super Bowl of Safety," to recognize industry leadership in safety and to promote professionalism among truck drivers. Arkansas’ bridges ranked 34th nationwide, based on percentage of bridges characterized as structurally deficient. Of Arkansas’ 12,871 bridges, 811 (or 6.3%) were found to be structurally deficient, according to 2016 bridge data analyzed by the American Road & & Transportation Builders Association. Motorists have crossed these structurally deficient bridges 2.07 million times daily last year. Most of the busiest bridges deemed structurally deficient are in central Arkansas, including two Union Pacific Railroad overpasses in Pulaski County (both crossed 123,000 times each day). This November Trucking HR Canada is calling on all fleets to introduce the pint-sized members of their families to the trucking industry. The organization is working with The Learning Partnership, a group devoted to advancing publicly funded education, and encouraging more fleets to participate in national Take Our Kids to Work Day, November 1. American Trucking Associations' Agricultural and Food Transporters Conference, along with the American Frozen Food Institute, launched a new online self-assessment tool to help motor carriers evaluate their processes and procedures for complying with the Food Safety Modernization Act. "The changing regulatory environment can be a challenge for motor carriers," said AFTC Executive Director Jon Samson. "This tool can help fleets ensure they are complying with these rules related to the transportation of food." 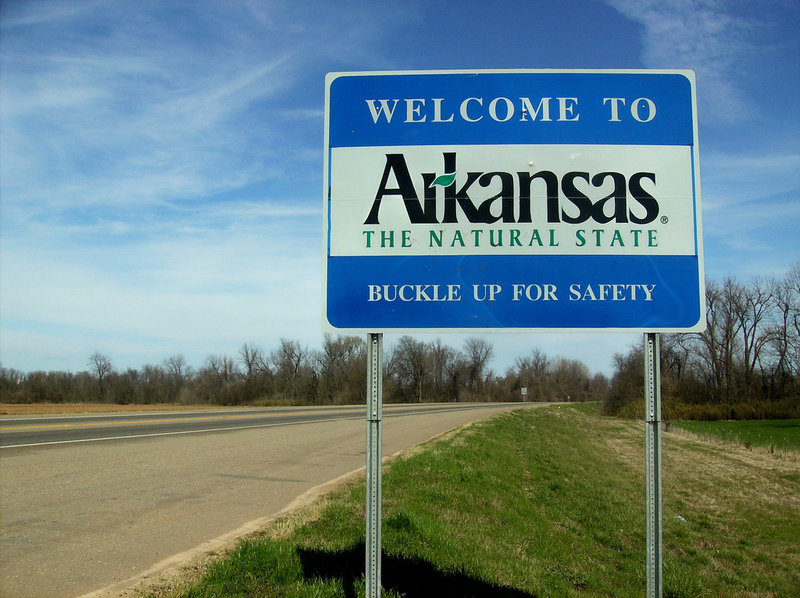 Prior to 2013, an annoying problem haunted the Arkansas trucking industry. While many motor carriers hired independent contractors (ICs) to haul their loads, many of those ICs carried no workers’ compensation insurance. That worked fine … until the ICs (or the IC’s drivers) suffered serious work-related injuries. With no apparent workers’ compensation coverage, where could the injured drivers turn? 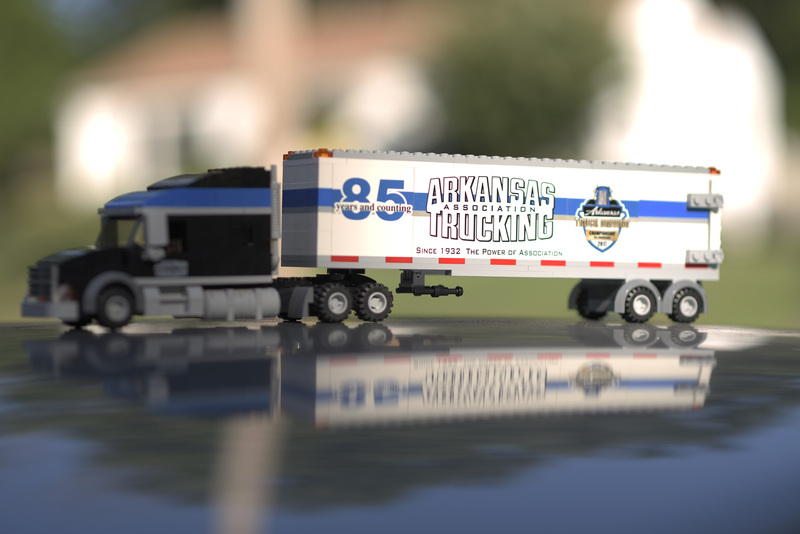 Celebrate the Arkansas Trucking Association's 85th anniversary and the 50th anniversary of the Arkansas Trucking Championship. 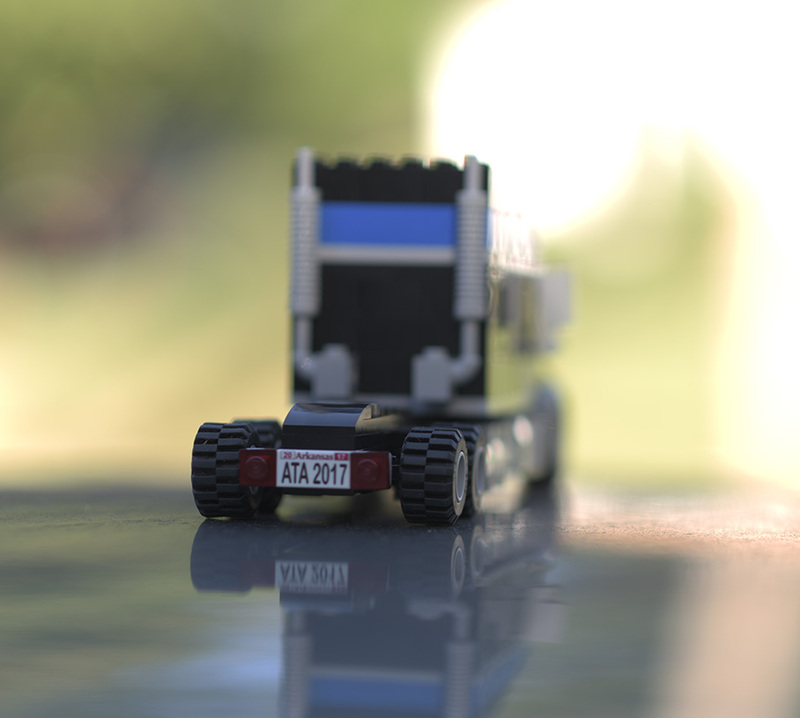 Be a part of our long history with this custom Milestone LegoTM Truck. Order one assembled and display your pride for Arkansas trucking right out of the box. Or if you're ambitious, order unassembled and build it yourself. The Arkansas State Highway Commission is pleased to announce the next application cycle for the Arkansas Commercial Truck Safety and Education Program. On April 18, Gov. Asa Hutchinson signed into law a bill that will require truck drivers to complete training on recognizing the signs of human trafficking before obtaining their commercial drivers license. Arkansas is the first state to pass this kind of legislation. 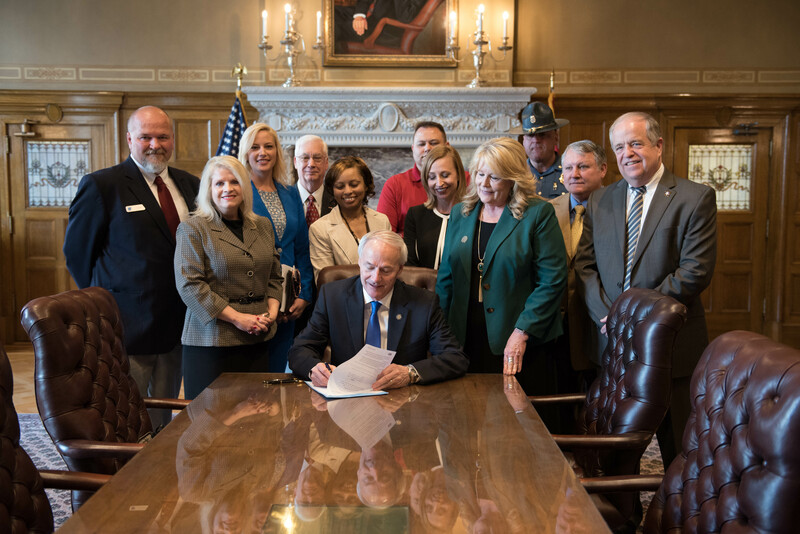 With the support of the Arkansas Trucking Association, the bill was sponsored by Rep. Charlotte Douglas (R-75th) and co-sponsored by Sen. Linda Collins Smith (R-19th). 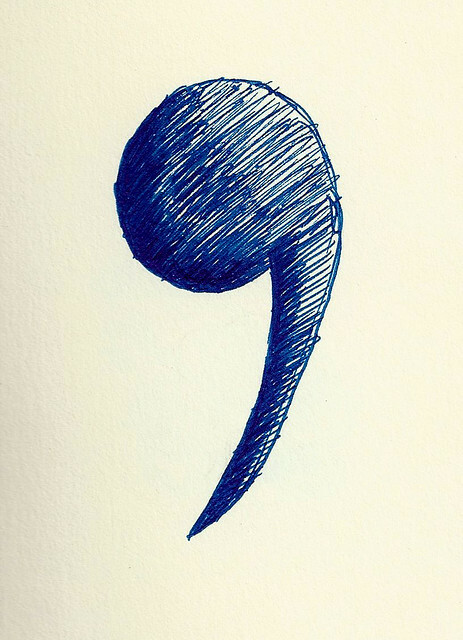 A recent court decision came down to a missing comma when a Maine court sided with a group of dairy truck drivers in a dispute on overtime pay. In May 2014, a group of dairy truck drivers sued Maine-based Oakhurst Dairy for $10 million in overtime pay. Oakhurst Dairy cited a Maine law that said that certain jobs are exempt from overtime pay. Oakhurst Dairy won that lawsuit.